The words are clear enough. Yet Annie Besant and Charles W. Leadbeater thought, thanks to their talks to imaginary Masters, that they knew much better than that. Leadbeater, whose lower self clairvoyance is responsible for the “esoteric” structures in the Adyar Society, made extraordinary statements about life on the Planet Mars. 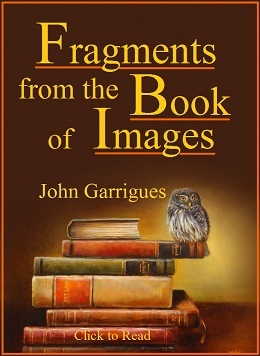 Presented in the first editions of his book “Inner Life” , his Martian discoveries help the readers see the true quality of his writings. “Inner Life” was first published in 1910. By then nearly all Adyar Theosophists believed the Martian Expeditions to be true, as the author emphatically claimed. His words were the words of a divinely inspired being: few dared question him. After all, besides travelling to other planets, Leadbeater had frequent personal conversations with the “King of the World” and other great spiritual authorities whom he himself had invented, with the political and clairvoyant help of Mrs. Annie Besant. No one could think, therefore, that the contents of his books were largely Pinocchian. It was only between the 1960s and the 1970s that the Adyar Society editors seemed to lose their faith, so to say, in his Martian revelations. They did not say anything about it to the public, though. The editors tried to keep the bulk of Leadbeater’s fraud still circulating. They made an effort to hide his Martian trips, for this part of the fraud was unsustainable already. They quietly removed C.W.L.’s Mercurian and Martian revelations from any new editions of his book “Inner Life”. Profoundly Christian in a Jesuitic sense, Charles Leadbeater was the main founder of the Liberal Catholic Church. During his several personal visits to Mars, he saw and observed the development of daily life on the red planet. Deeply concerned with spiritual matters, he reports that some Martians use metal sandals in their feet, while others look like Norwegian citizens. At this point, Leadbeater confirms the first-hand character of his personal description of physical life on Mars. This inevitably raises a question or two. Is it possible that, during his several visits to Mars, Leadbeater was secretly preparing a religious mission to that Planet, a mission to be developed by well-trained priests of the Liberal Catholic Church? In that case, could there be, right now, a group of L.C.C. priests enthusiastically celebrating Mass and preaching the Holy Gospel to the good Martian citizens? While there has been no confirmation about that, it is certain that the degree of accuracy and nonsense one can find in C.W. Leadbeater’s descriptions of life on Mars is approximately the same as one will find in his descriptions of talks with Masters of the Wisdom. And there is one more thought-provoking fact: it is entirely on the basis of such clairvoyant baloney that he and Mrs. Annie Besant created the several ritualistic schemes - including the so-called “Egyptian Rite” (E.R.) - which even now exist and govern the Adyar Theosophical Society behind the scenes. Who is going to firmly pronounce the mantra of truth and thus compassionately dismantle such traps, built to capture good-willing and well-intentioned souls? In spite of the homeopathical efforts made by some to distance the Society from the nightmare of harmful ritualisms, the same old portrait-adoring and form-worshipping schemes keep many an influential leader of the Adyar Society miles away from the real teaching of universal ethics and Eastern wisdom. Mrs. Radha Burnier, the President, did what she thought she could. Since 1978, she simplified the “Martian” structure of “promotions” and “degrees” in the fake Egyptian Rite, which is secretly situated above the Besantian Esoteric School. At the same time, Mrs. Burnier widely promulgated the teachings of Jiddu Krishnamurti, who spent his whole life making severe criticisms to all kinds of ritualism. Being a new age thinker, Krishnamurti did not know and did not teach real theosophy, as we will see in Chapter 16. But at least he vigorously denounced churches, bureaucratic organizations and blind belief. By adopting Krishnamurti as her main reference, Mrs. Burnier did take a first step. Other measures could be taken by the Adyar Society so as to liberate itself from those dysfunctional remains belonging to the “clairvoyant” atmosphere of the 1900-1934 period. One small example should be mentioned. Out of the seven portraits of Masters used in meetings of the Adyar Esoteric School, five are fake portraits fabricated by the Martian “clairvoyant” or under his instructions. This is not the best way to show respect for the two true Masters and founders of the theosophical movement. On the origin of the fake portraits, Adyar students can refer to C. Jinarajadasa’s text on them, which at least up to 2003 circulated among third degree Pledged members of the Adyar Esoteric School. Life is cyclic: after winter, springtime comes. No falsehood is eternal. 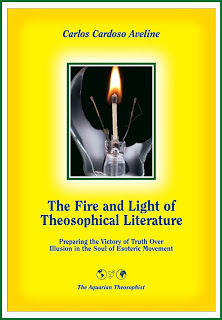 A few courageous steps toward the re-establishment of respect for truth can smoothly pave the way for a second and deeper stage in the renaissance of classic theosophy that is already taking place within the Adyar Theosophical Society. In the next Chapter, we will examine the writings of Charles Leadbeater on Martian Sociology and Politics. “The Secret Doctrine”, H.P. Blavatsky, Theosophy Company, Los Angeles, vol. I, p. 165. 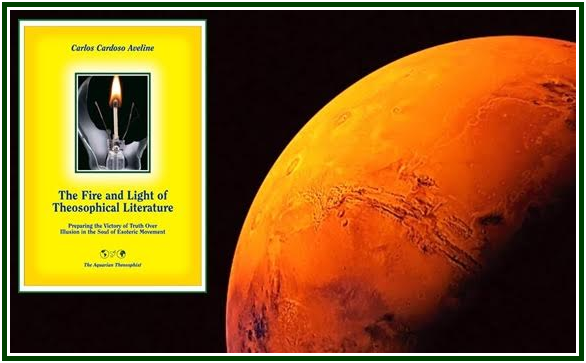 All the quotations in the present Chapter which contain the Leadbeaterian views on Mars are reproduced from the book “Inner Life”, by Charles W. Leadbeater, Section 10. 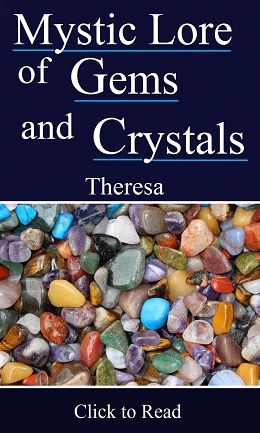 His text was published by “Theosophical History” magazine, London, January 1988; see pages 144-148. I have the same text in the Spanish edition of “Inner Life”, by C.W.L., published in Buenos Aires by Editorial Glem (pp. 389-394). In later years, the USA T.P.H. editions of the book “Inner Life” have silently eliminated this description, as well as the brief but astonishing description of physical life on Mercury. Yet a Brazilian edition of the book “The Solar System”, by Mr. Arthur Powell - a follower of C.W.L.’s - can still be bought in Brazil with this description of physical life on Mars. Another author and leading Adyar clairvoyant, Mr. Geoffrey Hodson, followed the same track at least up to the 1950s. In 1954-1955, Mr. Hodson delivered a series of talks and classes to students in the international headquarters of the Adyar Society, in Madras/Chennai, southern India. It was part of the “School of the Wisdom”. The content of his lectures was published by the T.P.H. in India, in 1955, in two large volumes under the title of “Lecture Notes - The School of the Wisdom”, with 616 pages in the volume I and 582 pages in volume II. On pages 442-445 of volume I, Mr. Geoffrey Hodson quotes and adopts, though in a somewhat cautious way, the same vividly absurd description made by Mr. Leadbeater about a physical plane civilization on the red planet.